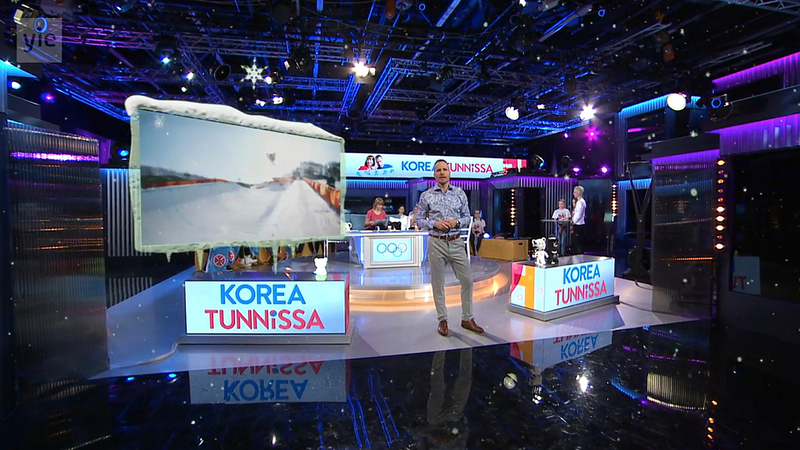 Finnish national broadcaster Yleisradio Oy (YLE) has created a fun and upbeat daily recap show for the 2018 Winter Olympics, known as “Korea Tunnissa” or “Korea in an Hour,” airing on its YLE TV2 channel. The show mixes entertainment and culture segments with Olympic highlights and is presented by husband and wife team Mikko and Kristiina Kekäläinen, who both work at YLE as journalists. 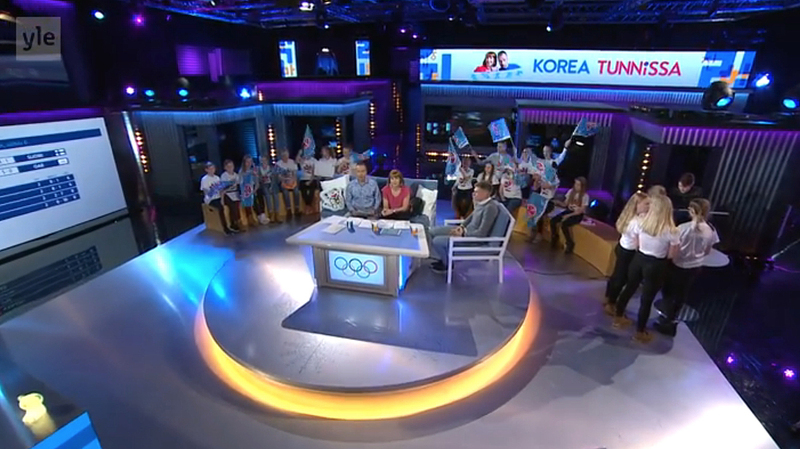 Broadcasting from a studio in Helsinki, the show features a live studio audience which plays off the unique banter and format of the program, making it feel more like a late night show than an Olympic clip show. The Kekäläinens regularly interact with the audience between segments, including through interviews and quick games. The show’s production design uses multiple large video surfaces that can be shot from cameras in high positions or via sweeping jib shots. The studio appears to have been converted from a common area in YLE’s building, as edit bays and a control room ring the space. The studio is also used for the network’s other Olympic coverage, such as wraparound programming and debriefs after events. To help add visual interest and to break up the space, purple and blue uplights illuminate the corrugated aluminum on the walls. A small desk on a riser serves as the home base for the program, with the audience behind. 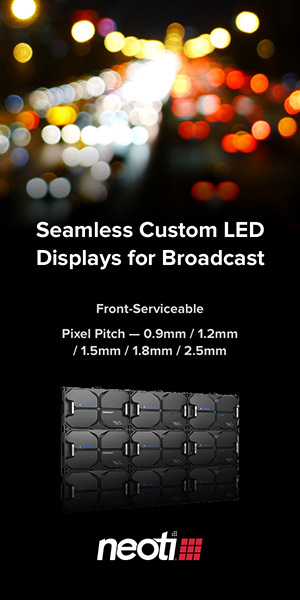 In front of the desk, LED video boxes provide additional areas for graphics and branding, with a large horizontal video wall in the back of the space. “Korea Tunnissa” uses the main OBS opening sequence followed by a playful and quirky intro that mixes images of the hosts with scenes of Finnish athletes. The show open also uses the lines from the official PyeongChang logo to create icons and symbols that represent the games. Using Vizrt’s Viz Virtual Studio, the show also utilizes augmented reality graphics to preview segments and even to create a little fake snow.